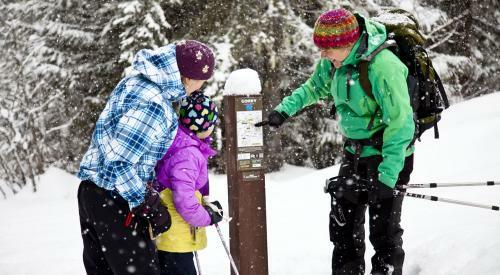 Discover the unique history of the East Kootenay on a relaxing snowshoe through a beautiful forest with gorgeous views, an invigorating hike to one of our favourite local spots, or a cruising bike ride on some of the local trails. This nature-based enterprising non profit venture takes you off the beaten path into scenic areas to connect with the East Kootenay environment. Wild Nature Tours is a non-profit venture, all proceeds will support local conservation projects. Wild Nature Tours is mixing it up for 2019! Check back to find out about all of the amazing programming for Winter 2019. Curious about a Wild Nature Snowshoe Safari looks like? Check out this great video from Tourism Fernie from a Park Paradise Tour in Fernie Provincial Park. For more info on all things Fernie and #ferniestoke visit Tourism Fernie!